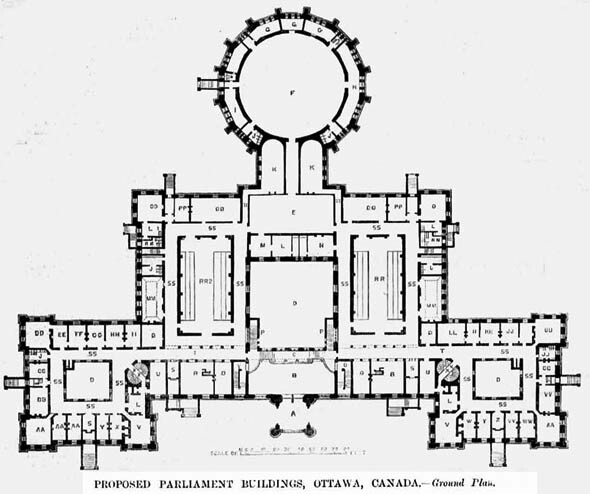 In 1859, The Legislative Assembly in Ottawa voted the sum of £75,000 for the erection of a “Parliament House” and offered a premium of $1000 for the best design within that budget. 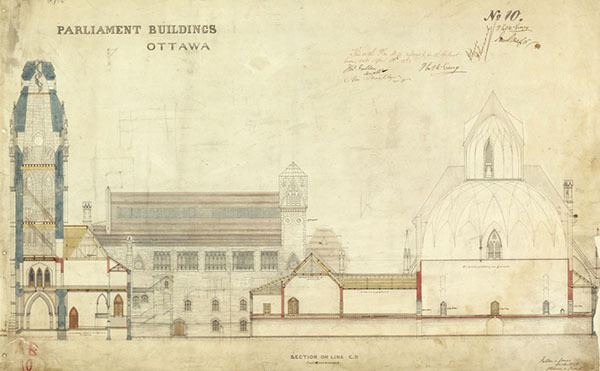 The winning bid was made by Fuller and Jones for a neo-gothic design. 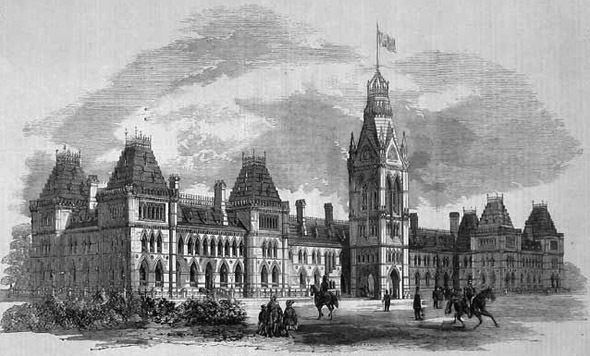 Howver, the principal architects until its completion in 1866 were Thomas Fuller and Charles Baillairge. 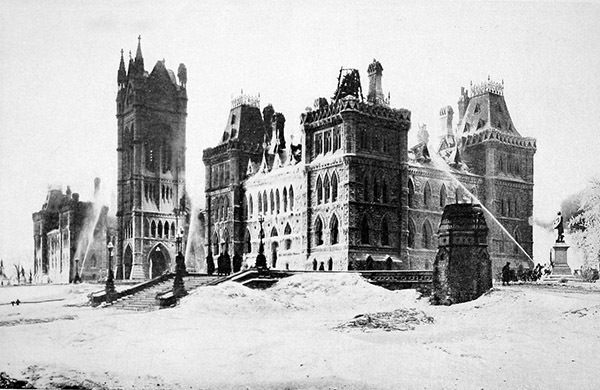 The Palace of Westminster in London had recently been rebuilt in a Gothic Revival style, and the choice of a gothic rather than an American inspired neoclassical design, was a symbol of Canada’s continued links to Britain. 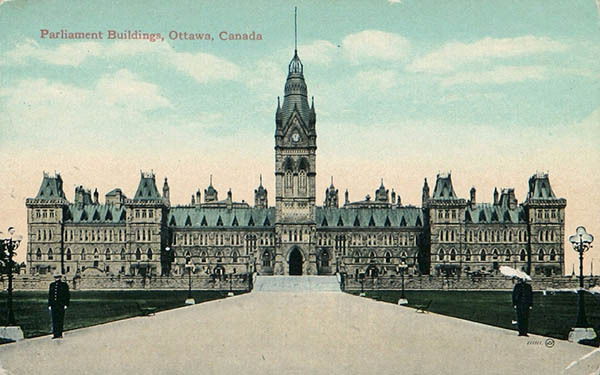 The building was entirely destroyed by fire in 1916 except for the Library of Parliament, whose treasures were preserved by a quick-thinking librarian.